"Probably Canada's best artist. His work blows me away! It's fabulous!" "The best artist on the west coast." "A global success and a Canadian favorite." "One of Canada's finest artists." "Today I had the privilege and honour of meeting with Tony Max, a Vancouver artist I have long admired, and one of the great Pacific Northwest artists of our time. I absolutely love his use of colour and light. His work has always been inspirational to me. Thanks to Tony for having me over for a visit! I feel very inspired." "I could look at all of your pictures forever. They're an improvement over the Group of Seven." "Seeing your gallery on a bright, sunny day, I felt like I was walking in a sunlit forest or by the ocean because of the beautiful light in the room and in your art!" "Your art is a window to my memories." "My top-selling artist and the best artist whose work I carry – by far. 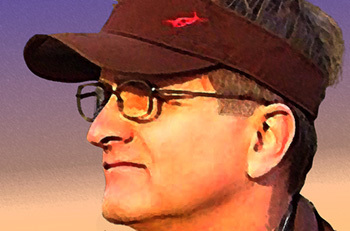 I represent about 50 artists – including the major, international wildlife artists." "Obviously a great artist....The best of any artists' art depticting Vancouver." "Seeing your gallery, I feel like I've gone to heaven! It's so uplifting!" "Big fan of your work. In the vast world of art, I find that only a small amount of work is outstanding and memorable. So – as with music or any of the other arts – a unique contribution stands out." "Your work is absolutely stunning and I would be honoured to be the president of the Tony Max fan club!!" "My husband and I went into a gallery in [_________] mall and all the stuff in there was godawful. Then we turned around and your art print was there like a little jewel! It was the only good piece in the gallery! So many artists these days toot their own horns but their art is mediocre. You – on the other hand – are so good at what you do, yet you remain modest. You have a different take on things. Your art is timeless!" "We love your mastery of light and shadow….the best around these parts in our opinion. You are a legend." "Wow! Amazing! Your art is astounding! A pleasure meeting you today. I am really looking forward to hanging these amazing pieces. Thank you for making the world a more beautiful place." "It's so unique. Nobody else on Earth paints pictures like that!" "The king of light and colour." "Tony Max is absolutely our favourite artist. I own several of Tony's original works, which we proudly display in our home and some of his artist proofs in our office. I can’t even put a value on the paintings. It’s by far the best cityscape work by any artist in Vancouver of our beautiful city. Nothing in our home gets noticed more than his paintings." Hi, Tony. Thanks! I can't wait to get these to the framers. I think your artwork is amazing and I'm so excited to be getting another two pieces! Kindest regards. "This is just magic!...You hava a very established style.... Extrordinary! It makes me realize why I live here!" "I just stumbled across your Web site and can't tell you how happy I am that this happened. Your art print stopped me dead in my tracks! I know this print is what I would like to have forever. I'd rather give up a new piece of furniture so that your artwork can take my mind away, when I get home from work." "Very unique and striking....catches the eye." "Absolutely stunning! It brings back a lot of memories. I love the light and the colours in your paintings. I also quite like your perspective; it's different from what other artists do. Your quality of painting ia very, very high." "My hunch is that the same sensitive, vulnerable, real, soul that you are, is what allows you to truly feel and capture the essence of the beautiful art you create in such a magnificent way." "I’m not much into art, but last week, I was at my doctor’s (943 West Broadway in Vancouver) and I saw your paintings in the lobby. They are breathtaking! I’ve never seen anything so magnificent! They literally took my breath away. Your work supersedes anything else. It has an exciting, contemporary feel to it. It's a total adrenaline rush – and you just can’t take your eyes off it. Heck, I missed the elevator going up from the lobby, I was so pleasantly distracted by your paintings! I can’t wait to email your link to my friends and co-workers. Your work has had a big impact on me." "Your lovely work that we purchased last night looks absolutely fantastic on our wall! This is very exciting! Nice to meet you and thanks." "The colours are astonishinly beautiful." "For many years I have loved your art. It took me back to some of my best memories – a favorite vacation with my brother to the amazingly beautiful forests of Oregon, Washington, and British Columbia. Thank you. " "I saw the original several years ago. Loved it then and love it now, so to have the original is fantastic. I simply love your paintings. Thanks so much for getting back in touch with me. You’ve made my day." "You make my day – and you have been for every day for years – because every morning when I'm eating breakfast I see your art in my dining room. Thank you." "Fantastic pieces. We love your technique." "Beautiful! Fantastic! I love it! I'm excited about getting this art! Thank you!" "My mom gave me one of your prints and it's my favorite piece of art. Your artistry is a gift. It's like having Celine Dion's voice. I envy you." The first time I saw a Tony Max painting I was blown away. It stopped me in my tracks and I had to see more. Every piece is a joy – ridiculously beautiful! His work connects you to a time and place, an emotion – a sense of wonder. He is the featured artist at Vital Health Kitsilano because his work perfectly captures the feeling of lightness and possibility that we wanted to convey. His images grace my walls at home, too. Upon meeting him, I was even more impressed; talented and so very humble. I'm excited to see what he will produce next as I know it will be a visual treat. "I just discovered your art and I am already quite a fan. You capture the light of the west coast in an incredible manner." "We love, love, love this piece! We love everything you do! I'm very excited! I can't wait to hang the print!" "We are thrilled with your painting! So happy to have met my favourite artist!" "Oh, my God! Looking at the actual art in your studio, I feel like a kid in a candy store! It's so amazing, it brings a tear to my eye!" "Your art has a signature look. There's no one else that does this technique. it's the colour and light." I have one of your paintings of the seawall in Stanley Park. I feel happy whenever I look at it. I subsequently decided to buy "Quay Perspective", as I used to work around Lonsdale Quay and have enjoyed admiring the view from the North Shore towards downtown on many occasions. Your image really evokes a very warm sense of nostalgia for this wonderful view on a clear, sunny day. "This is good for the spirit and soul – to be surrounded by all this art in your studio – with all its color." Just loved your painting the second I walked into the office, and I'm not even a ‘art’ person!! I love it! ["Arbutus Leaves Close-up"]. Will enjoy many years of looking at it, and so will others! Since I am living abroad, I really wanted some art in my apartment that reminded me of home. I also wanted something unique and artistic. After much searching online, I came across some of your work. I really like the style and your choice of subject and locations. Thanks again for your prompt replies and helpfulness in choosing a print. We looked high and low to find a piece of art we liked, and yours fit the bill. Your paintings make me want to cry, because they show the beauty of God's creation. I think you're making a good legacy." "I'm a huge fan of your work. I just love the colours. Everybody who comes into the gallery absolutely loves it. You really capture Vancouver. Soulful!" "As a lifelong resident of B.C. I have always been immersed in the beauty of our province. Tony's work captures that beauty and evokes the same emotions as if I were standing right there. I think it's incredible! We have four pieces of Tony's work in our house and I have one in my office. They bring calmness and beauty to my days when I can't get out to enjoy the seawall or Stanley Park myself. They're my favourite art in my house!" "You are unlocking a whole new world for me." "I'm very particular about the art I like. Your art is amazing! I can hardly think of a better watercolour artist!" "My favourite artist! I love his Vancouver paintings!" "I don't know how many people in the world can do what you do, but I don't think it's many. I think you should be more famous than you are. All of your work is so fabulous! You feel like you're really there and there's so much energy in your pictures." "Everybody loves the art. Before – when we exhibited other artists' art – they didn't like it. Our residents live for his art." "Your art is unique. There's nothing quite like it." "Breathtaking! I've been looking around for a long time and I hadn't found anyting I like until I saw your art." "Your pictures are beautiful and unique. Seeing them online doesn't do them justice. They look so much better in reality than seeing them online. I'm so glad I went to see them in person at your studio." "I just wanted to let you know how much I am enjoying my new prints. They suit my room very well and I smile whenever I enter. My family likes my choices also." "We've been looking for three years for art that would catch our eyes. We gasped when we saw your art! And your art fits the mood of our home." "I was introduced to your art work by a friend here where I work, and am completely enchanted by it! You have a glorious eye for color and an obvious love of our beautiful city." "Hi, Tony. We bought two paintings at your studio last year and love them more each day." "I feel the warmth of the sun on my face when I look at your sunrise and sunset art. Your art is a gift and a pleasure." I've never seen an artist paint light the way you do." reflecting off the water the way you do." "I absolutely love how you captured the sun twinkling on the water." "I've looked at a number of artists' work of Vancouver, but your work is what I prefer. And you've got one of the best Web sites." "I just have to say how much I love your work! I cannot believe that you have so much talent. Your pictures are breathtaking. I know you won't think I'm mad, but I actually got quite emotional when I first opened up your Web site and saw those wonderful pictures. You are an amazing man!" "When it comes to Vancouver images, Tony Max is 'it'". "I've been to the studios f many artists and I only liked some of their art, but with yours, I like all of it! Your work captures the natural beauty of Vancouver/BC. The beauty of it takes my breath away! I think your are extraordinarily talented/gifted! I wish I could do this work! To learn on your Web site that you have quite limited use of your vision yet are able produce such wondrous works…I can only imagine that you must be an exceptional human being. I am particular with art, and I see very little that moves me or appeals to me instantly. The way you captures light – particularly on water – instantly brings back memories of sitting on the beach and watching that glimmer – hoping the image would last forever. You are now my favorite artist. Thanks so much for making the beautiful images you have captured to make them available to us common folk! "I am a fan of your paintings....Thank you for the fabulous work!...Can't wait to have the work on my wall!" "The art scene here in British Columbia is abundant and sticking out from everyone is not the easiest of tasks. Whenever I looked for something to hang on my wall I kept seeing Tony’s work everywhere online. What I really liked about his art was his choice of locations throughout our beautiful province." "Definitely a world-class artist. I really get a good reaction from my customers to all of his work." "Hello, Tony. The canvas arrived today and we are delighted to tell you that it was put up in record time. It looks great and we are very pleased with it. Our children are especially happy with it – and they are usually the toughest critics. Thank you for your careful packaging and receipt. All is good. Continued success." "Tony...thanks again. This art looks amazing in my office and I'm really, really happy." "I think you're one of the best Canadian artists. Your work reminds me of the Group of Seven. I like your work better than Tom Thomson's." "My husband and I spent a week in British Columbia. Part of our trip was from Horseshoe Bay to the outer islands, including Keats Island off Howe Sound. We now have the pleasure of owning three memories of our experience. Your art truly captures the beauty of the British Columbia coast. It's just stunning, and your Web site is excellent!" "Your work is absolutely stunning." I recently purchased a stretched canvas art print from Tony. The dynamic quality, energy and colour of his prints and paintings really speak to all your senses. He captures the spirit and the essence of these vistas in a way that puts you right there in them. I look forward to collecting more of Tony’s art in the future. I'm mesmerized by your ability to capture the feeling of Vncouver's most beautiful places. "We just bought one of your prints and I love it. I also just finished an enjoyable look through the Web site. I love a number of the images and really connect with the colours. "I also appreciate the affordable prices as it is always hard to part with money when we have two kids and a house to give our pay to. We will be back for more!" "I'm a big Tony Max fan. I love all of your art. It's unique and it's so "B.C". I also like what you do with the light. And it looks much better in person than on the Web site. When I look at the "Kitsilano Beach" image I can feel the sand between my toes – that's how realistic it is. If I saw one of your pictures somewhere I would recognize it immediately." "I thought, "As soon as I have some wall space, I'm getting a Tony Max'. I love all your work. I'm obsessed!" We just hung our print, and absolutely love it! The colours and the lighting are amazing! It is really a wonderful focus in our home now, so thank you for making this happen. I look forward to choosing a second print to add to our home in the future." "I love the lighting. It's fantastic!" "The way you use light just pops!" "My heart's pounding because I like them all and I can't decide which one to get! My friends who have seen your art all love it! My interior designer saw your print in my home and she knew right away who the artist is without even seeing your name on the print!" "Hi, Tony. I just want to let you know I have this print ['Walker's Hook Lookout'] hanging in my office and love it! Everyone who walks in comments on it. Thanks!" We received the print yesterday and are thrilled! It will be a beautiful and prominent addition to our home. You are a very talented artist. Thank you so much for your speedy delivery of the print. – Emily Petersen, curator, Artweb.net. "I've been looking for two and-a-half years for art and I can't just put any art on the wall. This is it! Unbelievable! Unreal! This is exactly the art I want behind my couch! I can't even see all of your art in one sitting! I got the print last night and it looks great! Thank you. Cheers. "People are looking for the Vancouver waterclours and Max's are definitely their first choice." "You are so gifted. I really feel that you capture the beauty and the energy of being in Vancouver with your work, which is unlike anyone else's. I love it! Carry on with what you do….You are great! Your work will live on forever, and is so fabulous!!" "Thank you! They look awesome and we are so pleased with your work!" "I'll never get tired of looking at this print [Kitsilano Beach]. The colours really "pop", so the picture will brighten my wall. Thank you. I'm excited to hang the picture!" "We have a couple of your giclees in our office at Vision Critical in Vancouver. We just love your style and the local nature of your paintings. Just to let you know the poster [sic] arrived today! I am so very pleased with it. It looks great. Thanks again for your help." "Fabulous work! It's brilliant! Absolutely stunning!" "I spent hours on the internet trying to find something that best represented my experience to Vancouver. When I found your Web site your art was exactly what I felt on my trip. I love all your artwork." "Spectacular! Usually, with artists' Web sites, you don't know what you're going to get, because the the images don't match the look of the art. But the art on your Web site is an accurate representation. "Your trees print of Quadra Island left me breathless. The quality is amazing. There are so many of your pieces that would work for us. We are excited to be purchasing your art." "Your art catches the eye. You're so talented." "Just wanted to say that I love the painting - it is absolutely beautiful and so meaningful to me." "Your picture [Seawall Sunset] is my favorite picture in my house." "Art is supposed to stir up some emotions, and that's what your art does for us. We're emotionally charged now. We drove six hours from Vernon to see you and we're delighted and impressed with your art. It's pretty awesome! It's so realistic it feels you can just walk into the scenes. After reading your bio, what a priviledge is is to meet you, and to be able to decorate our home with some of your beautiful art." "I love your work. I love your style." "Your print mesmerized us. We'll treasure it." "There's nothing quite like these! They're really cool!" "We just wanted to let you know that we have received the print through the post today - and it looks fabulous!" "I have one of your prints in my living room and just love your work." Just to let you know that the print arrived yesterday, and we are absolutely delighted with it. It is already with the framers, and we will send you a photo of the end result when we collect it within the next three weeks. We can't wait to give it to David and Laura as we know they will be as pleased as we are with such a lovely work of art, and one redolent of their year's stay in Vancouver. "Fantastic! This [commissioned painting] is gorgeous! Tony, you did an amazing job." "I have been looking for a new piece of art for many months now, and haven't found anything that was ' just right.' Although I would hardly say that I'm a collector, I know what I like, and I know when something speaks to me. I absolutely love your technique! After your reading your biography online, I have even more admiration for your talent! Your paintings are stunning!" "Gorgeous, gorgeous, gorgeous....These are beautiful works. I asked myself, 'How could he get it so right?' Each one is just so precious. It's a magical thing you do. I think your variety is exceptional. Thanks for the pleasure of your art!" "I don't know where I first noticed your art, but it is so dramatic in its composition, value range and colour that it is hard to miss." Now that I live in Quebec, I've been searching for a piece of art to hang on our living room wall that is somewhat reminiscent of where I was born and raised: Bowen Island and West Vancouver. I've been looking for about three years. Oh my goodness! Am I ever glad I found you!!!! Your stuff is incredible! I will likely purchase a print, but one day when I can afford it I absolutely will make it a goal to purchase an original. I'm not well versed in the art world, but I imagine it would be an investment, because you are fantastic! I am emotionally attached to your pieces because they so capture my home, but also your use of light and the landscape. So: thank you. For what it's worth, you are the reason I've spent the better part of my afternoon fantasizing about moving back out west!! "A really cool, unique product. Fantastic!" "I looked at your picture and I said, 'Oh, my God!' I haven't seen anything quite like your art. You get lost in the light. I don't know anything about art, but I know what I like. It's like a box of chocolates!" "Tony's work is second to none. It's phenomenal. He has a way of capturing the spirit of the west coast that's unique. We've been looking for a picture like this ['Arbutus and Pacific'] for years. When I look at it I can feel the heat of summer. Now that we own a print of the image, I'll feel that warmth in the cold, rainy season. It must be very challenging to create such outstanding art." "You've taken the best that Mother Nature creates and put it on canvas." "Tony Max is perhaps the best example of a modern celebrity who has suffered from cataracts....Despite this disability, Max went on to be one of Canada’s most legendary modern visual artists." "This is our first art purchase. We were waiting to see something we really loved before we started an art collection. Your art is absolutely beautiful! We're thrilled." "I have been doing searches for a while on the Web for Vancouver artists I liked, and your work popped out at me immediately. There's something magical about every one of your images. They capture the west coast colours and the stillness that welcomes us here and makes us not want to leave." "One day in London, Ontario, about 20 years ago, I sat in a restaurant for two or three hours with a friend, looking at your print on the wall in front of me all the time. I said to my dinner companion, 'I'm going home with this picture'. I bought it from the restaurant owner that day. Recently I've been going through my art collection and felt the need to track you down through the Internet and call you now – 20 years later – to tell you how special this picture [Islands in the Lake] is. It's a passionate piece. It speaks to me. It's beautiful. It's my favorite piece of art that I own. It makes me cry. It makes me smile. You're a beautiful artist." "Your picture gave me goosebumps." "I lived in Vancouver for 20 years and moved to the east coast. Then I saw this particular piece ['By the Big Rocks'] on your Web site and I cried 'cause I can see myself there. I really, really appreciate your art. I love it. Your art is just so amazing. Anyone that sees it cannot help but want a piece of your work. You are able to capture not just the ‘view’, but also the feelings and emotions one gets when looking at that view. And – for me at least – it is very grounding. It enables me to be there in spirit, and doesn’t matter anymore that I can’t be there physically. Well...its here!! And I love it!! When I opened up the package, it "[By the Big Rocks print"] took me right back to that place [Kitsilano Beach] emotionally. I could see myself there and still got that feeling one gets when soaking in that amazing view of the ocean, mountains and city. It strengthens my memories of being there. Thanks for that!! Definitely will help settle my heart/home sickness!! Also thanks for personalizing it for me with your comments; I cried when I read your simple words!! "I felt honoured to get the number one [print in the edition]!!! And of course to have it match up with the personalized certificate, made it even more special and valuable!! Thanks! I got the print framed and up on the wall. Looks fantastic and gives me the feeing I knew it would!! I’ve already started saving up for my next Tony Max print!! I can’t wait for the day when I send you the email to order it!!!" – Brittany O'Donnell, Artistically Connected Inc.
"Your art has been in Saudi Arabia for three and-a-half years already. The print I referred to was 'Ambleside Driftwood' – a gift from my parents. I've wanted more ever since my parents gave us the print. The colours of Saudi Arabia are beige and grey, and we're just coming out of a three-day sandstorm, where everything turns from beige and grey to dirty beige and grey. It's tough for someone who grew up in Vancouver, and went to the beach, Vanier Park, and Stanley Park regularly. So I'm hoping to bring that into my little house here through your art. So I have to thank you very much. I can't wait to get the prints we ordered." "Your picture is absolutely the best picture I've ever seen! It radiates energy!" "I'm just delighted with the art installation in the lobby. Your pictures are beauiful and I've had one hundred percent positive feedback." "I've been admiring your art for a while. Your paintings are beautiful! I like them all. A lot of people are buying cityscapes these days, but because they all look the same, it's not very interesting. Your work is different. Also, it's nice to deal with you – the artist – directly." "The art scene here is abundant and sticking out from everyone is not the easiest of tasks. Whenever I looked for something to hang on my wall I kept seeing Tony’s work everywhere online. What I really liked about his art was his choice of locations throughout our beautiful province." "This is a unique gallery with some very beautiful works of art. A very pleasant experience – unlike the high pressure galleries. For the person looking at this type of art, you will not be disappointed. Business was conducted in a pleasant, cordial atmosphere. We will be back. "I love it!" I can't wait to get it hanging!" "I like all of your pictures. They're very unique. They're the best keepsakes one could have of Vancouver." We received the package on June 1st. We are thrilled with your work. Thank you so much! I love your paintings. it's like you are right there in the scene. Beautiful! And the pictures bring back good memories of growing up in Vancouver and all the summers at Stanley Park. "I've looked at various artists' art of Stanley Park, but yours is the nicest I've seen." "It looks better live than on the Web site." "I'm so drawn to your work. Your lighting is amazing. When I see your pictures they make me smile. Not only are they joyful, but they're immediately recognizable as your art. Vancouver's beauty is so well preserved in your art." Hi Tony – so lovely to meet you yesterday. As mentioned, I could have stayed at your studio all day, getting lost in your beautiful art! The artwork we bought is now hanging proudly in our master bedroom, and it’s the first thing that catches the eye when I walk in. I feel joy, peace and calmness when I look at it. It also brings back memories for us when my husband and I lived in Deep Cove many years ago! What do soul musician Ray Charles, astronaut John Glenn, tenor Andrea Bocelli, Canadian visual artist Tony Max, guitarist Jose Feliciano, and over 60.5 million other people in the world have in common? Glaucoma." "Of all the art in the gallery [Blue Seas] yours stands out the most."